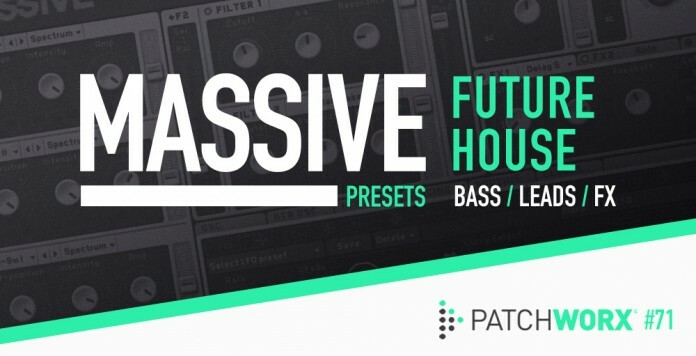 Patchworx 71 – Future House Massive Presets is a powerful collection of House and EDM Synths for the incredible Native Instruments Massive soft synth. Future House Massive presets is the brand new Royalty Free Patchworx collection from Loopmasters offering producers of House & EDM a stunning collection of the latest sounds heard throughout biggest clubs around the globe. Inside the collection you will find 37 Chunky Bass sounds, 4 Classic House Sound Effects, and 14 Scorching Lead sounds tailored towards the deeper forms of EDM and Main Room House.